I feel the need to go to a quiet place and think for a minute. I know just the spot. 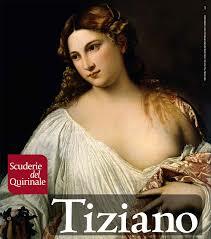 I saw quite a bit of Tiziano when I went to Venice a few years ago and the Scuderie is one of my favorite exhibitions spaces in Rome. This show runs until June 16th. For information about times and tickets, HERE is the website.